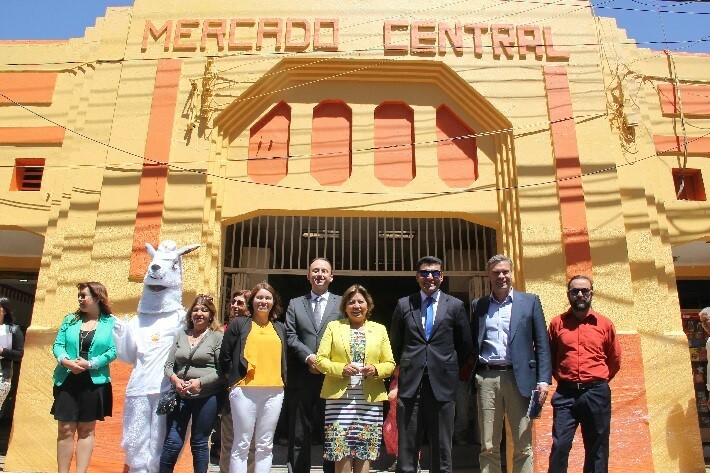 January 15, 2019 - The Central Market of Calama recently unveiled a newly painted façade for the popular commercial building thanks to the support of Minera El Abra, a Freeport-McMoRan company. Improving the appearance of the city’s Latorre Commercial District was an initiative of Calama Plus, which brings together several companies and organizations operating in Calama such as El Abra, a Freeport-McMoRan company, the municipality of Calama, Sercotec, and the Central Market Community. In addition to the façade, renovations inside the building included electrical work and interior remodeling. To learn more about how Freeport-McMoRan collaborates with its communities, please see fcx.com. To read more about Freeport-McMoRan’s social, economic and environmental efforts, see the 2017 Working Towards Sustainable Development Report.